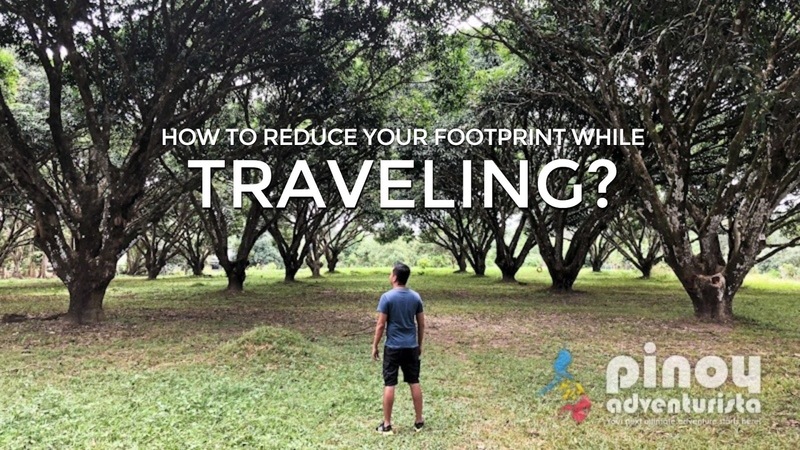 How to Reduce your Footprint While Traveling? Even if you are having fun travelling and during adventures, you can always make a difference in the environment. It does not matter how small it is. A small idea of planning and putting in some effort when travelling, can also lead to a reduction of your footprint while travelling. Here are other simple ways that can help you in reducing your footprint. Let’s learn! Airplane travel could be requisite in most cases. This is mostly if you travel overseas and on long distances. On the other hand, for regional travels you can choose a train, or bus instead of an airplane. This can go further towards conservation. According to statistics, when two people fly with an airplane from New York to Washington, they create a carbon footprint of 473 pounds. If the same people drove the same distance the carbon footprint produced would reduce by half to 230 pounds. With ecotourism, you still get to explore the world and not interfering with the resources in it. A good credit card should help you manage the financial resources for your trip. You can use apps, electronics and websites such as Eco Peanut, which helps you to travel greenest and live in a sustainable way. . When visiting a new community, first do a research and learn about the needs of that community. You can also carry with you items that could help the people of that community. For example, you can carry donations to support some of the projects in that community. When you eat locally you reduce the emissions that can be used to transport produce and some perishables. When booking for your trips, be smart. The adventures provide tours that focus on creating low impact on the environment. For the flights, get sustainable flights and hotels that are eco-friendly. You can do this by carrying your own reusable water bottle for your trip. This reusable water will prevent the dumping of a plastic bottle you’d have used instead. In case you are going to a place where bottled water is essential, you can carry a bottle with a built-in filter. You could even get discount on your beverage for having your own mug for tea, but this depends with the management. You can help save water even while in the hotel. According to the Environmental Protection Agency, laundry alone is responsible for 16% of water use in hotels. Therefore, you can reduce your laundry load. Also, while in the lodge, switch off the lights that are not in use. Lastly, sign up for tours. They could be bus tours, bike tours or even walking tours. These are great opportunities to experience beautiful sights and still be conscious on the impact you create on the environment. Find out about the public transportation offered in the place you are visiting. You might be amazed by what you will find out. The ways we mentioned above will help you reduce your footprint while travelling. Have fun while still remaining conscious of the environment!